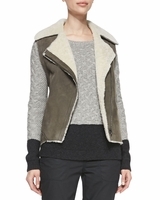 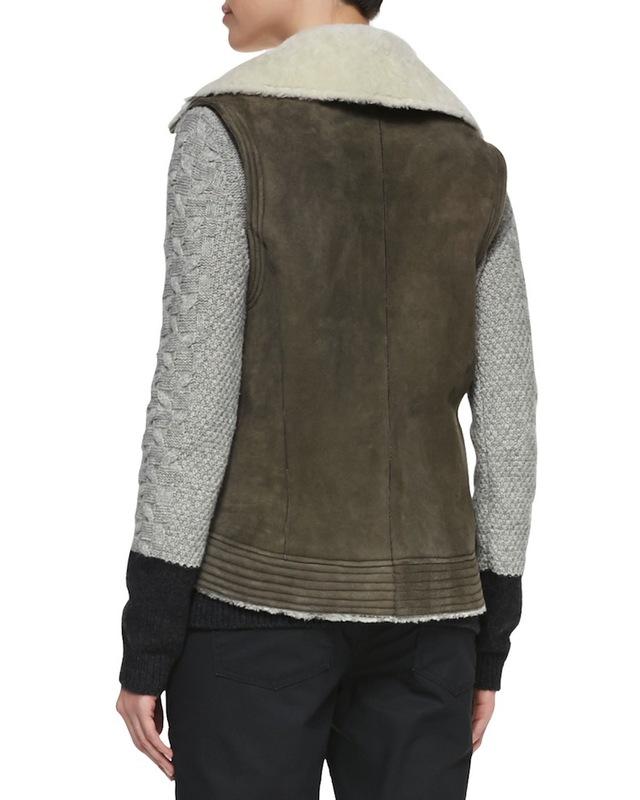 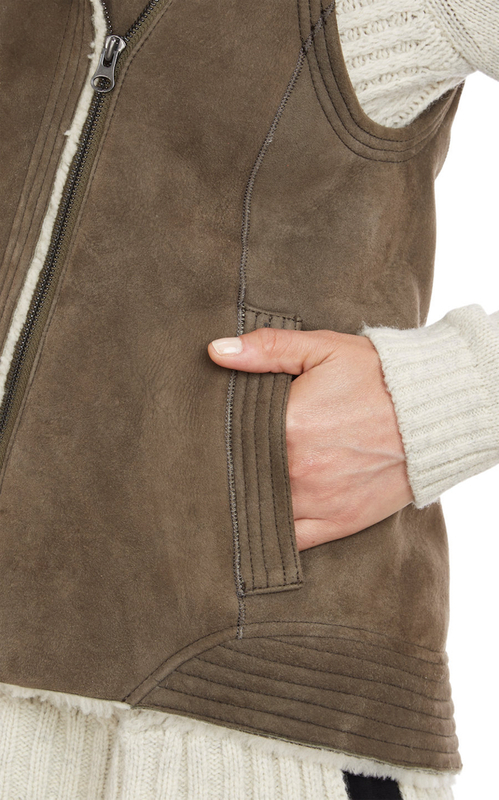 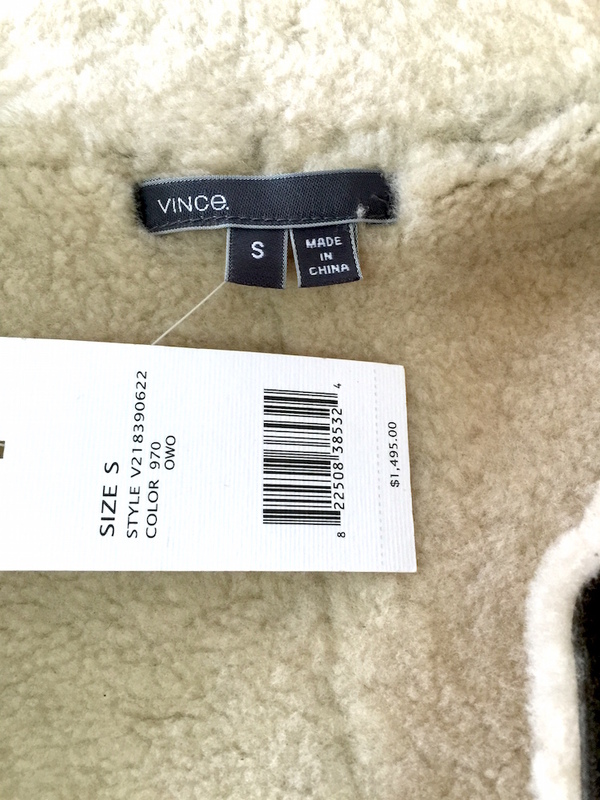 Vince asymmetric shearling vest is practical and sporty. 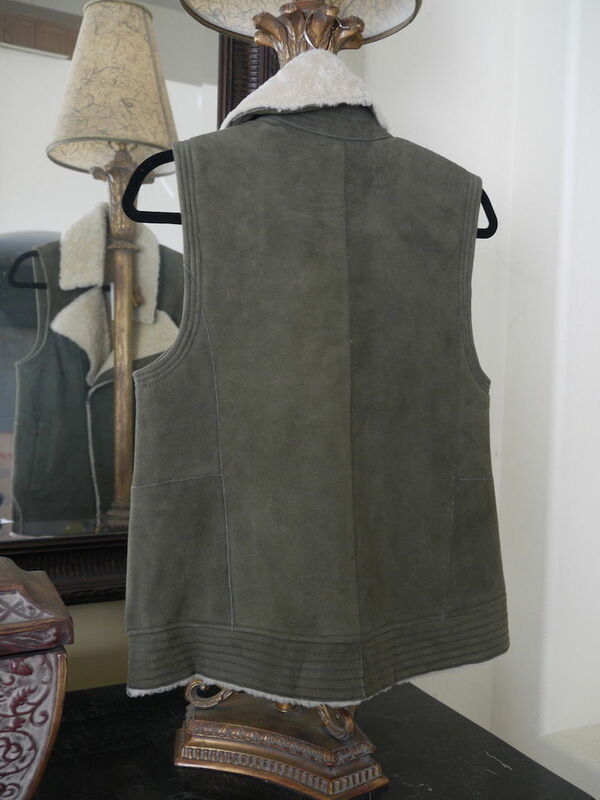 Wear it to the next outdoor sporting event, and let them cheer you for your fashion-forward look. 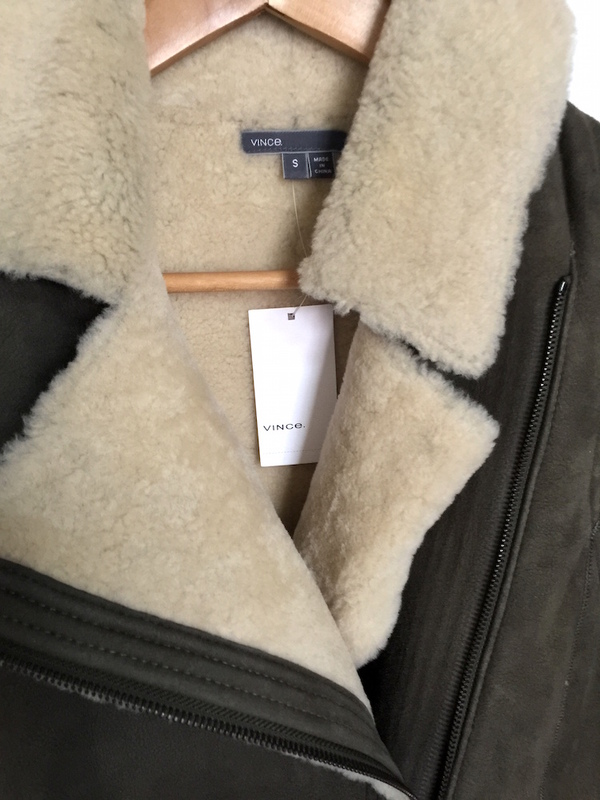 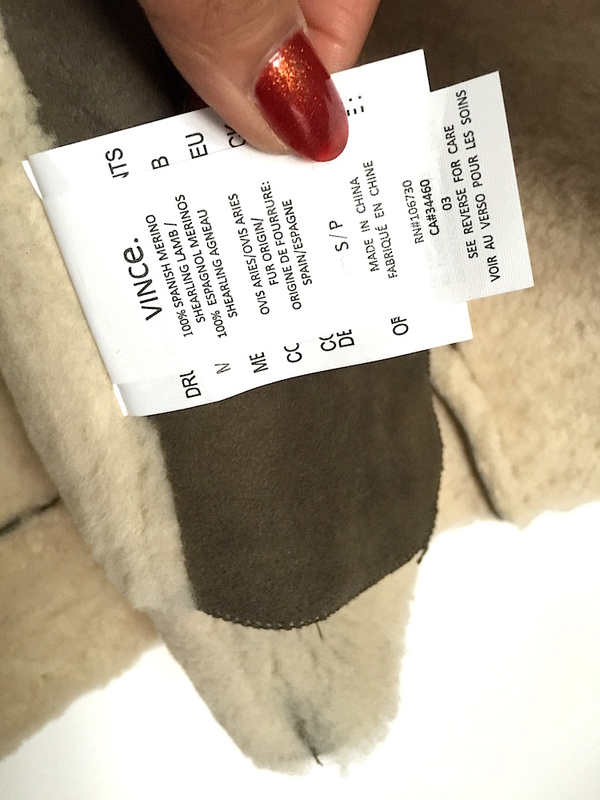 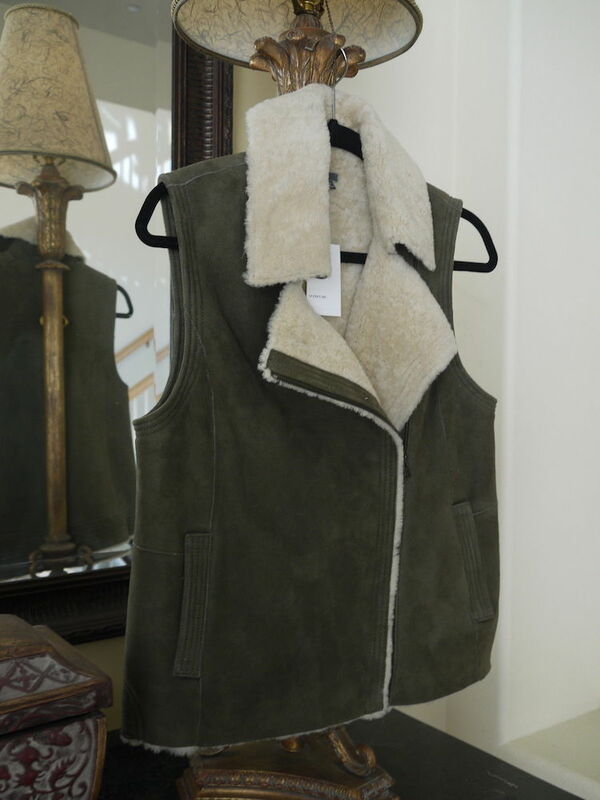 Vince asymmetric suede and dyed merino lamb shearling (Spain) vest. 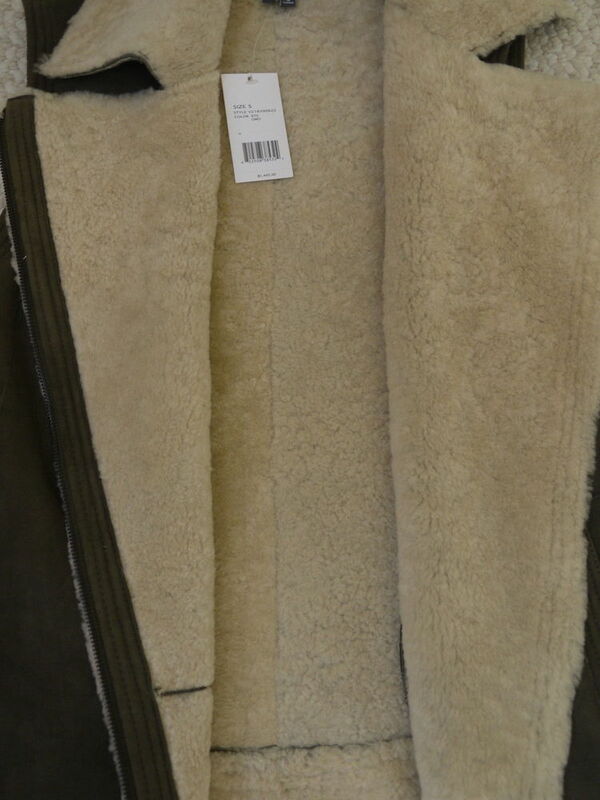 Notched collar; wide lapels; zip front. 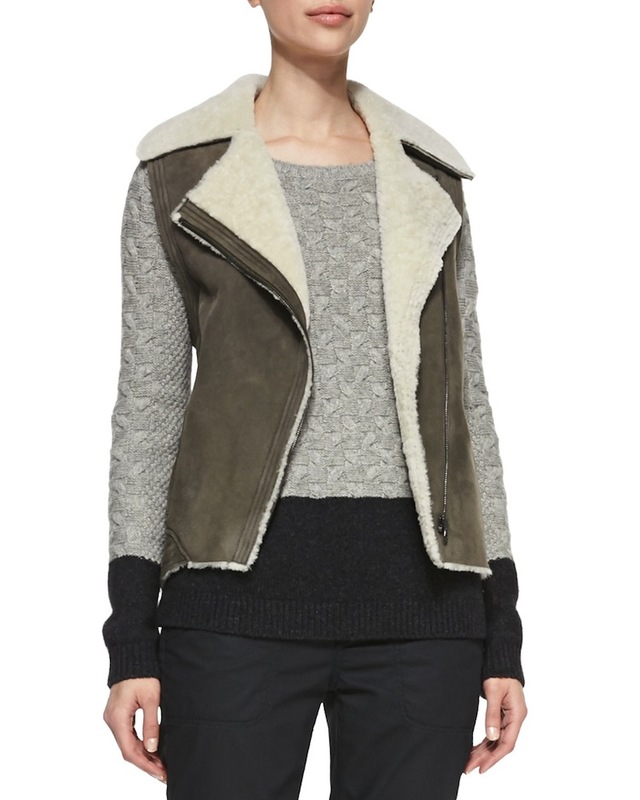 High-low hem hits at mid-seat.